Dermatology Associates of Central NJ (Old Bridge) - Book Appointment Online! *Patients please be advised that some appointments may not be with the doctor but with our Physician Assistants. Please call the office if there is any questions or concerns* You have concerns about your appearance and have decided to seek the advice of a cosmetic dermatologist. At Dermatology Associates of Central New Jersey, we would like to assure you that your concerns are of great importance to us. From the time you enter our center, you are pleasantly greeted by highly trained professionals. They are motivated team players who are dedicated to their jobs and compassionate towards their patients. You will be treated with kindness by people you can trust. Our Mission is to enhance the health and well-being of our patients by delivering superior healthcare. 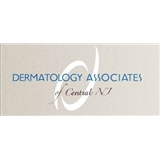 Dermatology Associates of Central NJ treats both adult and pediatric patients. New patients are always welcome! Great appointment. Addressed all my questions & walked me through everything. The staff was very professional and pleasant. Dr. Bernabe was quick and knowledgeable . My son was seen by the same doctor he had last year the first time, but this time she had pictures to compare.